One of your top goals for each of your yearbook sections is to develop unique content that reflects your theme. When you don’t feel those like the concepts you’ve come up with are top notch, creative brainstorming tactics for your committee can help. In today’s case, I’ll show you how working backwards gives you awesome results! You can start brainstorming unique yearbook headlines that could serve as titles for different pieces of content. This is a fun way for your committee to come up with original content that’s totally out of the ordinary. Plus, everyone on your team will love the inventive brain boost this kind of unexpected activity spurs. Below, I’ll walk you through how to use this exercise with your team, and give you five awesome yearbook headlines to kick off your next brainstorming session! To start your next committee meeting, ask everyone to draft five headline ideas that compliment your theme. To add an extra dose of fun, you can have them each come up with at least one that’s completely silly, that rhymes, or that’s alliterative. You probably won’t use those, but they’ll all get a good team-building giggle out of each other’s suggestions. And as for the others–they don’t have to be perfect, this is just a starting point for your exercise. Next, share and sort through all of the ideas. Think about how each one applies to your theme, and don’t be afraid to massage a suggestion to make it fit the overall concept behind your book. Narrow your choices down to the top five headlines your committee came up with. Finally, start thinking up content that each headline would support! While this backwards process may not be your usual way of brainstorming, you’ll definitely come up with two or three new ideas that work perfectly within the pages of your book. And you won’t even have to worry about whether each piece fits with your theme–that work has already been done for you! To help your committee understand the intent of this exercise, I’ve drafted five awesome yearbook headlines, including how you could build out supplemental content for each one, below. This Was Your Year: Create a feature around how this school year was so much better than years previous. Focus on fun experiences like field trips, big school-wide events and successes your students had, like winning a big science competition or sports game. Leave Your Mark: Build a spread that incorporates big projects that students accomplished at your school this year, like fundraising for a new playground or instituting an anti-bullying campaign. This is Your Chance: A forward-facing feature, this article would include 10 bucket list items for students to tackle over the summer. Include a mix of tasks, like reading a certain number of books, checking out a cool water park and learning to cook a special meal with their families. Away From These Halls: Build out content that features outside-the-classroom events. Focus on what your students do when they’re not at school. This can run the gamut from charity events to athletics, and makes for a super interesting read! The Future: Delivered: This is one of my favorite yearbook headlines for content that focuses on what your students want to do in the future! Consider a career day element, or even just a fun question-and=answer article with random students from across your entire campus during the lunch hour. 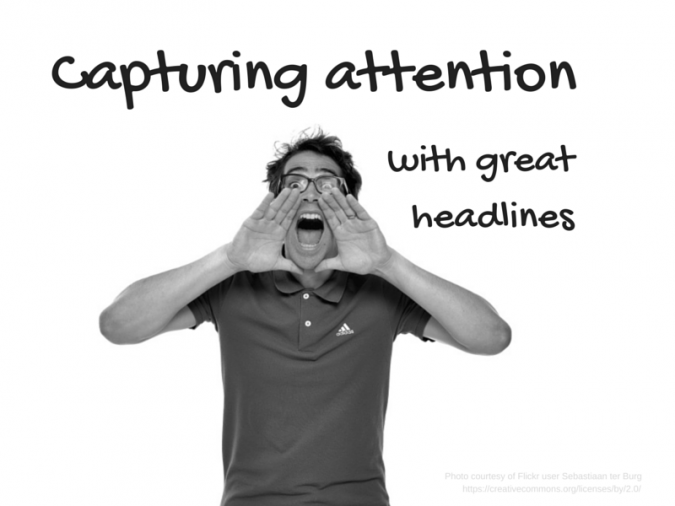 Your yearbook headlines play a big role in how students look at your publication as a whole. Something creative and eye-catching at the start of each of your articles will draw an audience in. It tells your readers what your copy is about, and gets them excited for what’s inside. And this is exactly how you get students to gobble up every page of content and find inspiration in your words! So go ahead and try a brainstorming exercise that’s a little different. Even if you don’t come up with five perfect features to add to your book, your committee will have a blast as they start to develop some innovative new ideas. Plus, this exercise boosts everyone’s creative thinking skills for the rest of your content. Which means either way, this fun idea is a win-win for the all of the features that appear in your book!